Happy National Honey Bee Day, August 19, 2017. In 2009, the first National Honey Bee Day was celebrated, this day continues annually on the third Saturday in August. This national day was started by grassroots minded beekeepers to build community awareness of the bee industry, through education and promotion. Most beekeepers are considered hobbyist. According to the Illinois Department of Agriculture, there are currently 3,930 beekeepers in Illinois with 28,586 colonies. Honey bees visit approximately 2 million flowers to make one pound of honey. Flying approximately 55,000 miles to collect enough nectar to make one pound of honey. Honey bees are the only insects that produce food that humans eat. A honey bee flies between 12 to 15 miles per hour. Honey bees produce honey, propolis, royal jelly, and beeswax. 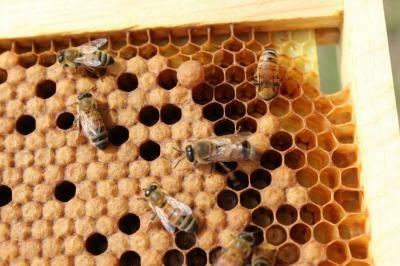 A hive contains three type of bees- a queen, worker bees (females) and drones (males). A honey bee never sleeps.